It’s no secret that single-use plastic is harmful to the environment. For instance, the Ocean Conservancy estimates that by the year 2050, humans will have produced 34 billion tons of plastic. That’s 100 times greater than the weight of all humans on the planet. Furthermore, a whopping 46 percent of the rubbish is expected to be discarded in landfills or the natural environment. Clearly, change is needed. 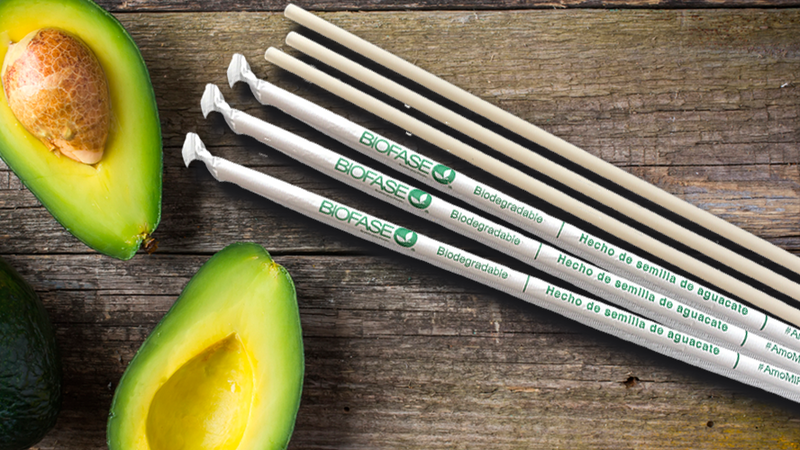 That’s why the Mexican company Biofase, based in Morelia, Mexico, developed biodegradable single-use cutlery made from avocado pits. According to Mexico News Daily, the process of manufacturing biodegradable straws and other single-use cutlery out of avocado seeds was developed in 2012. At the time, Scott Mungía was a chemical engineering student. Motivated to solve the plastic pollution problem, he began looking for a reliable source of biodegradable plastic. It was a trial-and-error process as Mungía tested the properties of raw materials, including mango, mamey sapote seeds and, finally, avocado pits. It then took one-and-a-half more years to find an effective method to extract a molecular compound from the avocado pit. He also needed to obtain a biopolymer, which could then be molded into a specific shape. His hard work eventually paid off when he developed an avocado-based bioplastic. Because the single-use cutlery is made from avocado pits, it will biodegrade in 240 days after being exposed to the elements or buried in the ground. In comparison, plastic cutlery can take more than 100 years to biodegrade. The patent for the avocado-based cutlery was patented in 2013. Shortly after, Mungía founded Biofase. In 2015, he installed his first plant in Morelia to manufacture eco-friendly plastics, as well as sell them as raw material. In 2016, Mungía began manufacturing the bioplastic-based products in a second plant. Plastic cutlery was the first to be produced. In February of this year, Mungía moved onto straws. Though progress is taking longer than he might have hoped, the company is continuing to build momentum. Each month, the Morelia plant produces 130 tonnes of biodegradable plastic products. Approximately 40 percent is straws. Reportedly, 80 percent of the plant’s production is exported to the United States, Costa Rica, Colombia, and Peru. In order to produce a massive amount of cutlery, daily consumption of 15 tons of avocado seeds is required. The plant gets this from the United States-based food company Simplot. A plant is also operated in Mochoacán. As consideration for the environment grows, the demand for Biofase products is likely to increase. This is positive news, considering the Earth is undergoing major changes due to the increased output of carbon emissions. What are your thoughts? Please comment below and share this news!
? 13 Timeless Quotes From World’s Best-Selling Fiction Author Of All Time – William Shakespeare 1.5 Million Volunteers Plant 66 Million Trees In 12 Hours ?